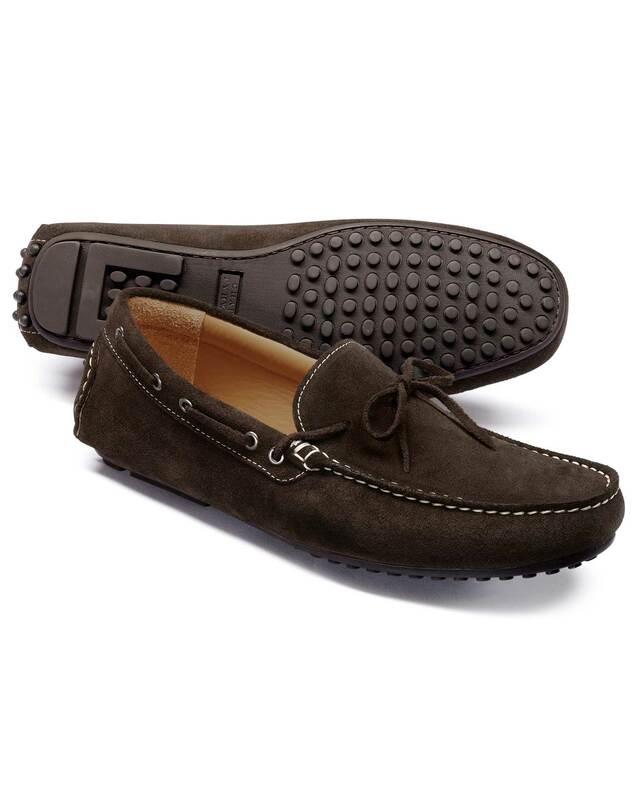 "If the loafer is a laid back stylish gent, I posit the driving shoe is his eccentric younger brother. He's still impeccably dressed and he still likes a good bask in the sunlight, but he's brimming with chutzpah and get-up-and-go." "Flexible rubber sole and moulded footbed for added comfort. Rubber detail at the back of the shoe to protect the suede."